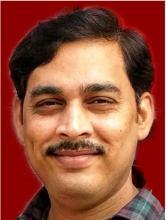 Dr. Sudhakara Reddy is currently assistant professor in the Finance and Control group of IIM Calcutta. He was a visiting scholar to Whitman School of Management, Syracuse University during 2011-2012. His current areas of research are Market Microstructure, Corporate finance with an emphasis on corporate governance mechanisms, Initial public Offerings and primary capital markets, etc. On 10th July, 2017, the listing day of AU Small Finance Bank surprised the market as the pre-open price discovered for the IPO was Rs. 525 per share versus the issue price of Rs. 358 per share giving a premium of Rs. 167 per share. The small investors who sold their shares in the Grey Market were unhappy as they thought that they could not cash on the superlative listing gains given by the IPO. If we closely look at the firm in the Grey Market, the initial Grey Market Price/Premium (GMP) was Rs. 78 over the probable listing price and touched a high of Rs. 135 per share. However, there is no reason for the small investors to worry if they would not have entered the market only to gain listing day returns, they would have been trapped because of the sudden plunge in the price the next day. High Networth Individuals (HNIs) generally avail margin funding and trade in the grey market to make easy profits by bidding in the HNI category of the issue.For example in the case of AU IPO, HNIs portion was oversubscribed 144 times. That is for every one share allocation, HNI has to pay Rs. 51,552 (offer price 358*144). If the HNI avails a finance of 98% at an interest rate of 7% per annum and pays a margin money of Rs. 1032, his net gain would be Rs. 31 per share in about ten days.This implies that to make these easy profits they oversubscribe for more shares get the allocation and sell for a premium. On the other hand, the operators bought the shares of AU IPO at a premium from the HNIs (and retail investors too) in the grey market (by paying an average price of Rs. 475) and it has been understood that they purchased all the available shares from the market on the listing day as most of the investors look for listing day gains. In the present case, operators mopped up around ten million shares and held them till the weekend. In the meantime, the uninformed investors believed that the shares were very valuable and bid at higher prices. In the case of AU IPO, within four days (14th July) the volume traded was about five million shares of which four million were supplied by the operators at an average price of Rs. 675 per share making a cool profits of over 100 crore rupees. The above explains the prevalent price manipulation in the IPOs through the grey market. The past two years have been massive in terms of IPO listings in India. There are more than 200 firms which have debuted on the Indian bourses during this period and there are many more to follow suit. Most of the companies gave strong returns on the listing day. Market analysts argue that stocks get trapped because of the irrational buying and leave little float for public to trade. The abnormal listing day returns for some of the IPOs (for example, Everonn gave a listing day return of 240% in 2007) resulted in a very active Grey Market for IPOs. The grey market in India is as unregulated as any other grey market (when-issued market) around the world. It is essentially an OTC market where operators execute orders for their clients as well as support the IPO. It acts as a platform for traders to trade in the IPO shares even before the shares are listed on the bourses. The GMP is the premium demanded over and above the possible listing price. The initial GMP is set by merchant banker in consultation with the company promoter and market operators. This is important for the issuers as it shows the demand for the IPO before the issue. The sentiment of the market and pricing of the issue also decides the trends in the grey market. The following is an analysis of NSE IPOs for the past 6 years from Jan-2012 to Dec-2017. Table 1 shows the descriptive statistics of 356 IPOs where the average underpricing or listing day returns are 22.17%. It can be seen from Table 1 that the highest over-subscription is by the HNIs at an average of 31.13 times. Whereas the oversubscription by retail and QIBs are 9.74 and 20.59 times. Even though the first day returns are 22.17% on an average, a week after the IPO, the average returns are -1.49%. Similarly, the returns after a month and after a quarter are more negative. This is how the operators make the profits and the uninformed investors bear the losses as shown in the AU IPO case. We split the sample into subsamples of large and small IPOs to see whether there is a manipulation only in small IPOs as large IPOs are not easy to manipulate because of their visibility and presence of reputed underwriters. But, surprisingly, Table 2 shows that the results are almost similar to Table 1. Even the oversubscription by HNIs is slightly higher at 37 times for the large IPOs compared to 31 times for all IPOs. Similarly, in the case of small IPOs, the oversubscription by HNIs is 25.25 times. Interestingly, in this case the average oversubscription by retail and QIBs is almost same and is not the case with the large IPOs. We further divide the small IPOs into two subsamples of IPOs with reputed underwriters and IPOs with unreputed underwriters and examine whether there is any difference in the statistics. The total number of small IPOs with reputed underwriters is 32 out of 178 and the remaining small IPOs are managed by unreputed underwriters. The results are strikingly different. Table 4 shows the descriptive statistics of small IPOs with reputed underwriters and Table 5 that of small IPOs with unreputed underwriters. It can be seen that even though the listing day returns are very high for IPOs with reputed underwriters, the returns after the IPO are also positive with the quarter after the IPO returns as high as 10.83%. But, that is not the case with small IPOs with unreputed underwriters as the returns after the IPO are significantly lower compared to Table 4 as well as statistics of overall IPOs. From the above analysis it can be seen that the maximum manipulation happens with small IPOs managed by unreputed underwriters. However, direct evidence of this manipulation is not possible with the data that is available with us. The entire practice of manipulation is similar to a casino and the big operators are not understanding that they are imprudently killing the golden goose and will not get the golden eggs in the long run. It is high time that SEBI takes serious note of these manipulations and devise appropriate measures in the interest of the smooth functioning of the capital markets and also the economy as a whole. Any further delay may result in retail investors opting out of the capital markets. Very recently in November 2017, a committee formed by SEBI has proposed a 10% circuit filters on the first two days of the listing which is not seen positively by a section of the market as volatility on the listing day is essential for the proper price discovery. This issue of manipulation should be dealt with more effectively without any hindrance to the normal trading process.